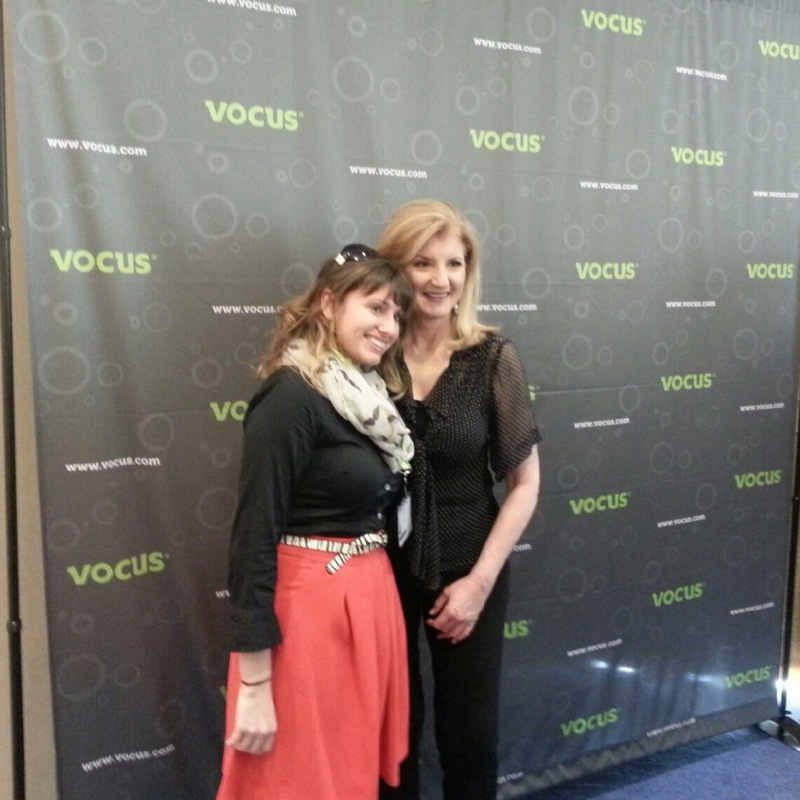 Last week, I attended the Vocus Demand Success conference. Fantastic event. My favorite part of any conference is the opportunity to meet new people and share ideas on how to do things. Lots of things like digital journalism, e-mail marketing, content creation, and social media. But I think all of this stems from one issue. 1) What will we do (Lack of a Plan)? 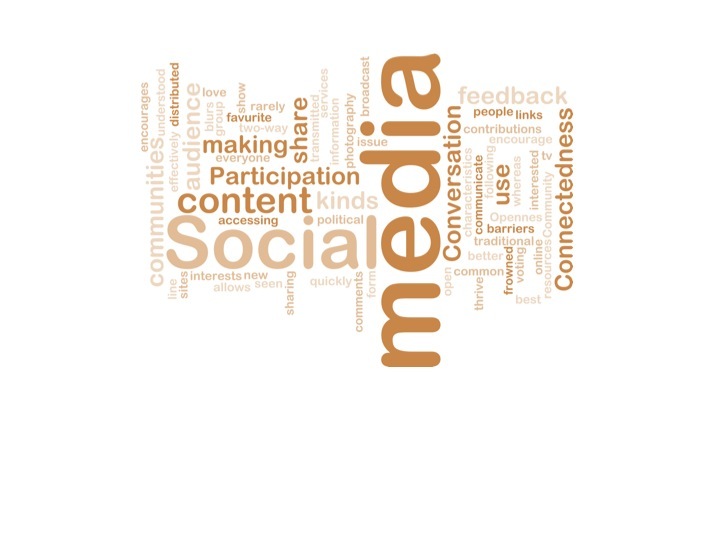 2) What will we share (Content)? 3) Who will manage the message? Who will run the editorial calendar? Who will edit my copy (Control)? 4) If we put our ideas down on paper will it stink (Lack of Ideas. At least a clear direction of what you should write about)? 5) What if people don’t like my content (Understanding your Audience)? Learn to paint the picture of what your ideal social looks like. Love this Tedex from Nancy Duarante on how to tell a great story. Outline your goals and objectives (P.O.S.T). Before you begin, assess where you been and where you want to go, a.k.a audit. Plan some more. Most projects don’t see the light of day because you didn’t do your homework. You already know you won’t get all your resources for this project so plan for it. Change is Hard, but it will get better. Welcome Haters. They motivate you to do better. Accept Failure. Failure can teach you a lot of what not to do the next time. Priorities. Help those around you and yourself. Pick three area/projects and as you progress you can add more. Focus on your wins. Small wins lead to big wins later. Do Internal PR campaign on your wins. Sharing where you have been and where you are going helps others get it. Keep Your Head up! Easier said than done, but social communications is hard work! Really you are in the business of change management. Find a support group of other like-minded folks. LinkedIn has tons! Network with people who are doing social communications successfully. Constantly evaluate where you are in relation to your goals. Put your big girl pants on. This isn’t for the weak of heart. In order for this to work, you need vision. Goes back to point one. Coffee or caffeine. You will be busy managing this change management project. Social Communications isn’t one and done. Social takes time. Very excited to write about the undervalue or under appreciation of a thank you. It something I have noodled on for a while. A recent experience reminded me of the importance of saying thank you and how it can benefit you personally and professionally. Last week, I attended Vocus Demand Success conference at the National Harbor. If you missed the conference, check out these Storify links of day one and day two that covered a lot of great information on marketing, social media, public relations, search engine optimization, e-mail marketing, to name a few. At the conference, I had the opportunity to meet Arianna Huffington, as she was the keynote for the conference this year. If you don’t know who Arianna is, she is chair, president, and editor-in-chief of the Huffington Post Media Group, a nationally syndicated columnist, and author of thirteen books. Essentially, she’s one badass lady and a powerful businesswoman. Is this act of kindness an anomaly? What type of impact does showing gratitude have on a business? Mark Goulston wrote an article for Harvard Business Review back in February covering gratitude. My favorite part of the article was research by Adam Grant and Francesca Gino that showed saying thank you not only results in reciprocal generosity — where the thanked person is more likely to help the thanker — but also stimulates pro-social behavior in general. In other words, saying “thanks” increases the likelihood your employee will not only help you, but also help someone else. You have to mean it. Too many folks are focused on their interests or getting what they need done first without consideration of the other person. People don’t think outside of themselves. Goes back to caring and nurturing. It takes extra time. Those valuable seconds seem like eternity for some. There’s no priority to show gratitude. Foolish really if you think about it. Everything you do involves people. Saying thanks doesn’t always have to involve monetary terms. Gratitude cost nothing and more people should stop and thank the people they interact or work with. If you just took a moment to say thanks, imagine what type of reaction you would get in that moment. Imagine how much easier future interactions would be? I bet those would be a lot more pleasant. Why is Earned Media Important to Your SEO Strategy? After reading about Google’s Penguin 2.0 updates, I wanted to update my past article about earned media. If you are keeping up on the new updates from Google’s Penguin 2.0, you have learned that off-page signals such as earned media will play a bigger role in your search engine optimization (SEO) practices. Earn media helps build authority. I don’t think that is a surprise to most PR folks. However, I think that this latest updates shows not only that relevant, worthy content is vital to your SEO strategy, but also supports and builds a case for your public relations work. Content Marketing Institute wrote a great article about the recent changes, but you want to pay close attention to point four. An excerpt from the article is what makes me smile: Takeaway #4: Earned media and digital PR can help you recover from Panda. Driving a variety of quality digital signals is a future-proof SEO strategy. Having a broad diversification of off-page signals communicates authority and trust to Google. Content marketing and digital PR folks who primarily rely on their compelling content to drive search engine traffic should be smiling now because the future looks bright for them. It looks bright because with each algorithm update, Google gets even better at rewarding good content from authoritative people and brands. Social mentions of your earn media is important. Make sure you are sharing those placements on your social channels. If you have placed your earn media bets on trades, you have bet well. Keep it up! National coverage is always a plus, but building your authority in your market is equally important. No surprises there. CMI mentions the importance of my favorite underused site, Slideshare. If you have presentations that have worthy, interesting points about your market or best practices, start up loading today. this will help with authority and off-page signals. Authority is important to Google. Build those expertises through your content, but also getting your experts in the market through interviews, articles, podcasts, etc. Previously published article from May 13, 2013. Last week, I attended an amazing webinar from the folks at Vocus on earned media and how you should be using it more in your PR toolkit. I also created a Storify thread with all the great nuggets shared from the presentation. For those of you who are not familiar with the term, earned media is what others say about you whether it is in print or online media (think Twitter, Facebook, etc.). I believe earned media is the new media for the modern PR practitioner: PR folks are now working on placement not only with reporter from national or regional publications, but also bloggers, Twitter influencers, and other new media targets. Why is it important? Earned media, in theory, is unbiased and unsolicited. When folks go to Google and search for your company, they can find all kinds of reactions and social shares that are unfiltered and not corporate speak. 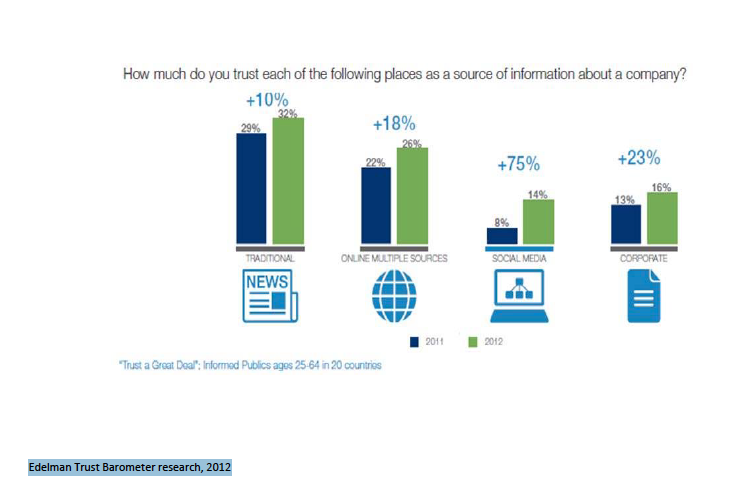 By far, earned media is the most trusted place as a source of information about a company (see below chart). Why is earned media getting so much attention these days? I think the biggest reason fueling the concept is the convergence of public relations and social media. PR folks traditionally have been working on messaging and with the growth of social media, it makes sense we are blending our efforts to cover both social and traditional media. What I believe is different about earned media it is no longer just about what companies put in print, but rather what other influencers such as clients or advocates are saying. It is more of a blended world where everyone has a say. Not many corporate executives understand they do not control the message megaphone when it comes to its company’s brand online and with social media. Organizations need to understand while they cannot control, they can influence. So many things you can do with a blog post or article such as sponsor a story, post it to your Google + account, Promote it on Twitter, or Syndicate the content. What struck me about this presentation was that this concept is new for most folks. If you are not repurposing your media coverage for other opportunities, you are missing out big time. The biggest opportunity is to take the coverage that is already written by someone else and use it for promotional or other marketing efforts. Hello! It is already trusted and valued since it is coming from someone else. 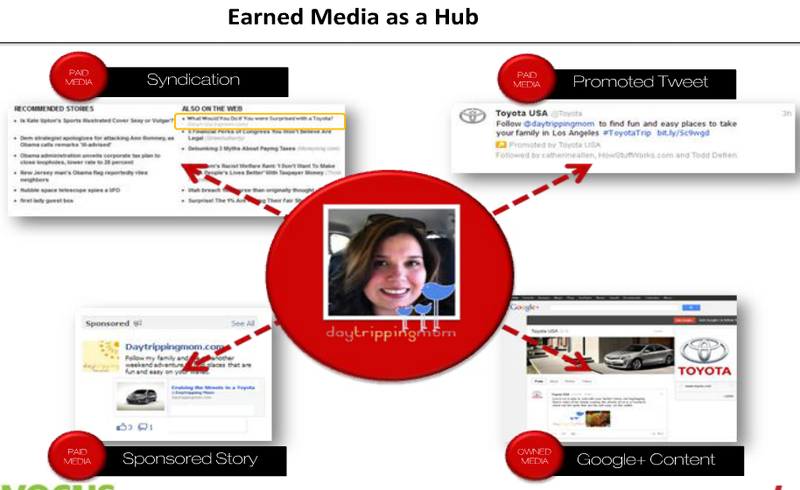 Extend the life of your media coverage by using earned media as your hub for content. Boom! There goes your reach by four times. Earned media maybe new for you, but this concept of earned media is coming up more and more in the last few years. If you’re interested in learning more, Jeremiah Owyang from the Altimeter Group, wrote about the concept of earned media last year in the report, The Converged Media Imperative: How Brands Must Combine Paid, Owned & Earned Media from Altimeter Group Network on SlideShare. What Does Social Media and Online Dating Have in Common? Recently, I was chatting with a friend about her recent online dating shenanigans. As she began painting the picture of Mr. Right Now, I was intrigued by what led her to pick her date’s profile. How do you pick one profile out of many? Our conversation went a little like this.. Whether ninjas are your thing or not, it proves that sometimes you need to add a little dash of unexpected to your social media activities. What struck me is what her reaction was. First, it was laughter. 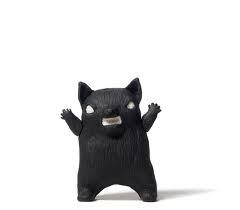 Second, intrigue of who is this guy? While I don’t anticipate anyone of us putting ninjas in our profile for kicks, I think it proves a few points that we all could incorporate in our social media activities. Be interesting. Sometimes unexpected is what gets someone attention. I think about this in terms of profiles on Twitter. Here is a great list of some of the best twitter bios. Paint a vivid picture. As I written previously about storytelling, it important to paint a picture. Love the ideas someone thought it would be funny to put ninjas on his profile. Funny can be good. While your social media presence represents your brand, I think funny is always good if you’re comfortable with sharing. Last Friday, I conducted a social media training class for some of our sales folks. There was a room with many folks on a Friday, which was surprising considering it was optional and before lunch. Now, for some of you are reading this and saying “typical sales guy.” I heard opportunity in his response. I addressed his answer, but I think there is a lot to that statement that got me thinking about the lack of adoption for most organization. Why is getting social media adopted a hard sell? From my perspective, adoption is worth you spending time on. It is why me and our other marketing folks focus on sales and professional service. Why? Sales people are the front line to your business. They talk with your current and prospective clients. Good sales and professional services people generally have their ear to the ground and hear things before I do. I think it would a huge mistake not involving them because employees are your brand ambassadors. So, why do sales folks not want to participate? 1) Don’t see it as apart of their job. While prospecting seems to go hand-and –hand with social, some sales folks stick with the traditional tried and true methods. Tip: Show Don’t Tell. I shared with the group how I research reporters and editors and then follow them on Twitter. Share their content. Send a note when I think a piece is awesome. It is a two-way conversation that doesn’t always have to be about my company. No one wants to admit they don’t know how to use Twitter or Linkedin publically. So, we created an intranet group to teach folks. Remind people of the resources they have. If you don’t have any create them. I always have to remind myself that as an early adopter, I am ahead of the curve and not everyone is there yet. Tip: Teach and Teach some more. I honor every request from our internal folks on how to use social media tools like Twitter or LinkedIn. While it not my role, I do believe you have to be a teacher to help folks adopt social media. 3) Can figure out how to incorporate social media into their routine. This is one of my favorites. So, the way I answer it is this: While true your senior stakeholder may not use Twitter or LinkedIn, I bet one of his/her influencers does. Someone you don’t have to go straight the top of an organization if you know who influences decisions. While the boss may sign the checks, someone is usually advising the boss on what to do. Not everyone wants to learn. Here my take on how to plan for it. 6) Their boss doesn’t use social media and therefore they don’t. This is a pretty common problem with any social media adoption. Training for senior leaders to not only encourage, but to participate. Ultimately, I think most adoption problems are issues with use (utility if you will). If I don’t use something, I don’t see the value and cannot maximize the return on using it. So, in order to get more folks to adopt social media, you have to get them to jump in with both feet. Show them how to listen. Teach them how to share. And pack your patience. It is going to be a long road to adoption. This week, I helped one of my coworkers who is a self proclaimed introvert with his LinkedIn profile. As we began to talk, I realized some of our conversation would make a great post on how introverts can tell their personal brand story using LinkedIn. You may gather your energy through reflection and dwindle during conversation, but you too can participate using LinkedIn. So, here are my tips to my introverts who are looking to use LinkedIn to engage in social media activities and build their social presence. Tell Your Story. So, first thing first. Social Media is not about broadcasting or the Me Show. It is about sharing, educating, and learning from others. So make sure your profile has a real photo of you and is complete. What’s in a Title? When I look at your LinkedIn profile, what three things do you want me to take away? Are you’re a B2B rockstar? Content Marketing Mastermind? Use keywords in the headline so people can find you. Share things that matter to you. You are not broadcasting; you are sharing your knowledge. Don’t think of your status as bragging, but rather teaching folks about what you know. Building expertise is key to creating your personal brand. Join a Group. Great advice from my colleague Marlysa Lohr Connolly. Groups are typically created around an industry, conference or company. Basically, they’re a smorgasbord of information. Joining LinkedIn groups privy members to a wealth of knowledge from like professionals who are more than happy to share industry news, tips and answer relevant questions. Use your strengths. So, if you are an introvert, you already are thoughtful and purposeful. Use this to your advantage. Most likely you will careful research posts and articles. LinkedIn plays to your strengths. Folks that follow you will appreciate your insight! Listen before your begin. So, by nature you already like to observe before jumping in. Start checking out other profiles you want to emulate and watch how they participate. Once you’re ready, Update your status at least once a day at a minimum. You should be updating your profile in the morning, during lunch, and in the evening if you feeling specially bold. Pay it forward. This is from Heidi Cohen post on social for introverts. Social media’s about the community, not you. Help others with targeted information, reshare other people’s more interesting posts, and comment on other people’s status. Also, think about recommending former and current colleagues, staff and bosses on LinkedIn. Don’t forget to have fun. I know you are serious, but have some fun. Connect with other like minded folks and share, grow and learn. Sharing is Caring. Don’t forget you can share other people’s statuses and make comments. This goes back to my third point. Share what matters to you, but don’t forget the whole premise behind social is to connect. Find other like minded folks and share away. Last Friday, I published an article in MarketingProfs that outlined a roadmap to create social media strategy rather than tactic. So far, it is generating a lot of conversation on why you must first outline goals and strategies before jumping metaphorically into the social pool. It has been several months since I wrote this article. Given a fresh set of eyes and points readers have made, I wanted to add to my to my list of five. 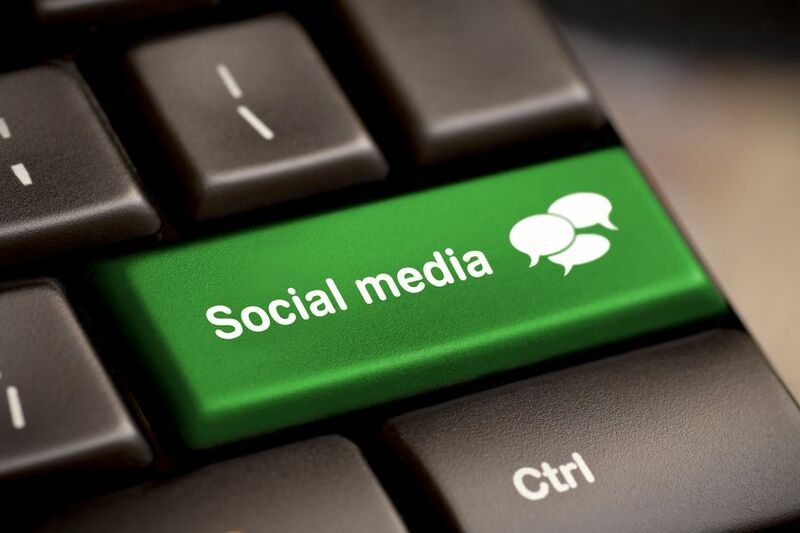 Here are some more thoughts to building a successful social media roadmap. One of the readers commented that measurement needed to move up on the priority list. Fair statement, but I think first before any measurement can be assessed, your organization needs to have the framework in place first. Logically putting measurement first doesn’t make sense unless the framework is in place. If social is going to work in your organization, you need to be an expert at leading implementation of strategy and tactic. It is really important to understand this ever-changing business beyond deliver and promotion. I talk a lot about that social media is merely a vehicle to a human need we all have: we want to belong and connect with others. Whether it was the writing, talking on the phone, sending an e-card of funny cats, we all want to communicate with others and share. If you forget social media is about learning, sharing, and experiencing you will treat this channel like an other communication channel such as e-mail or direct mail. Don’t forget the human that is behind those tweets or LinkedIn posts. One of the commenters discussed the importance of presence on major social channels. I wouldn’t say you need to have a presence on every channel, but think really hard what value you bring to your future clients, curent customers, and marketplace. If you are in a small department or the only resource dedicated to social media it’s hard to be everywhere. Pick and choose where you bring real value. Solve for the Customer first. Your ego is last. Image brought to you by http://livingsu.syr.edu/. Go Orangemen! Make no illusions that focusing on strategy rather than tactic is hard. Really hard. You will inevitably have higher ups or your manager just plainly say, ” We need to be on X.” Change this conversation around by performing a content audit of what your currently have to share. Without thinking about the content you will share or the value you provide, then it is about you rather than the customer. Get ready to have a lot of discussion about this. You may win some and you could lost some. Pick your battles wisely. Every been on Twitter and looked up a brand that has 10 different handles? Think long and hard why different business units or products need their own space. Ultimately, in my opinion, your are splitting your audience and your efforts. When possible keep your audience together. First, and most important, everyone needs to be trained and understand his or her contributing role to social media. I think some folks are not interested because of time or not sure how this relates to their day job. So you have to be explicit what you are asking from them. Liz Bullock, formerly of Dell, did a great job outlining how she implemented company-wide adoption, http://www.slideshare.net/LizBullock1/achieve-buy-in-at-all-levels-creating…. Second, I think getting folks on board with social media is like any other change management project; you need to set expectations, training, evaluate what works (or doesn’t) and repeat. Another read worth considering, is Altimeter report on the career path of a social strategist, http://www.slideshare.net/jeremiah_owyang/career-social-strategist . It helped me put in context that some of the challenges were not unique to just me, but anyone who’s working on getting social media accepted in their organization. 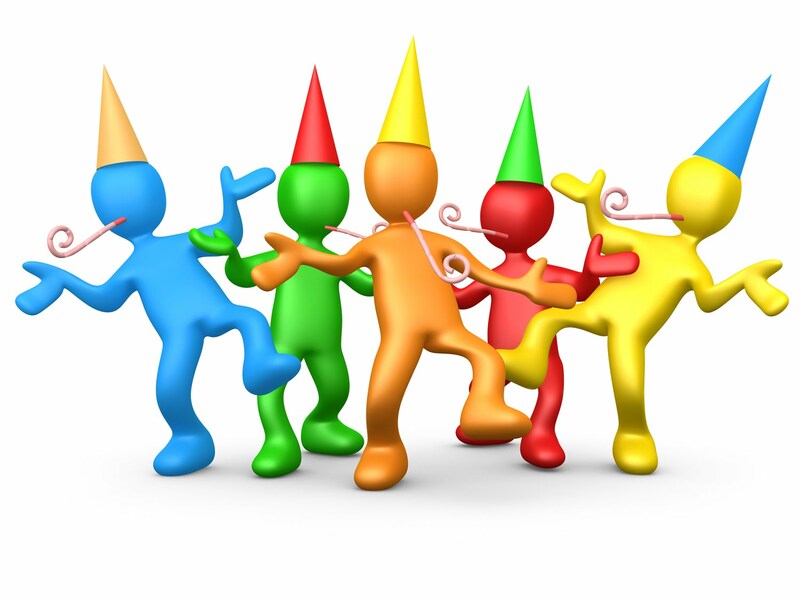 Overall, it is a fun ride to to implement and gain company-wide adoption of social media. If you are up to the challenge, buckle up!